When I was a child I would ask my mother where we came from, she would take a tea towel from the drawer and show me a map of the New Hebrides. This was one of the ways in which I came to understand my family history. If I had a map of my origins it would be that tea-towel. The first elected Commonwealth Government of Australia in 1901 implemented the controversial 'White Australia Policy'. 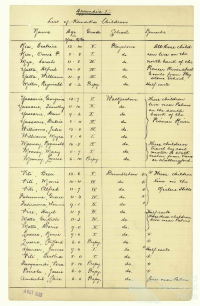 Among the extraordinary range of legislative measures was The Pacific Islander Labourers Act of 1901 which ordered the deportation of all South Sea Islanders to their home islands by 1906. These Islanders had originally been brought to Australia as sugar slaves. At this time 9324 South Sea Islanders lived in Queensland. They comprised those brought on first labour contracts and time expired labourers. 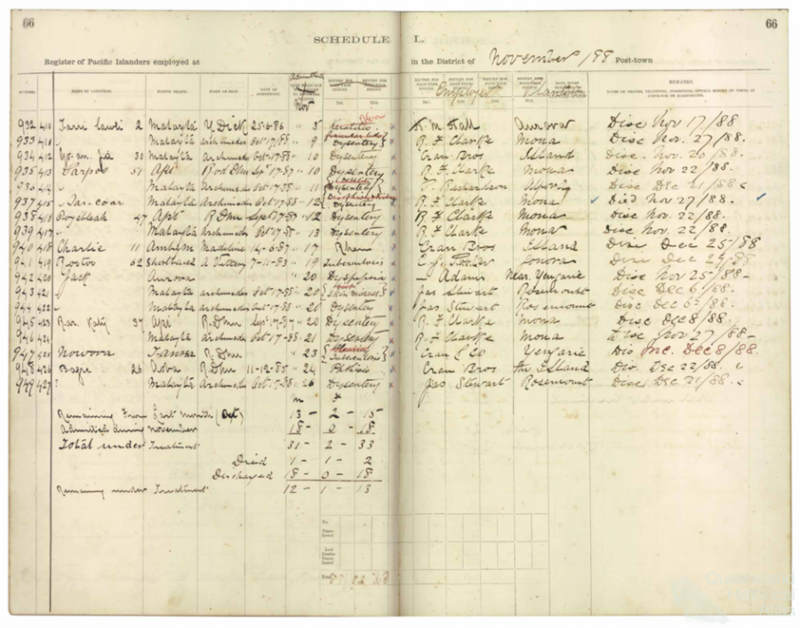 They also included those who had lived in Queensland since before 1 September 1879 who were initially exempt from legislation but were subsequently brought under the rule of the 1884 Amendment Act to be restricted in their work and movements. Some had married and had families in Queensland. Others had lived here for a very long time and grown old. It would have been difficult or even impossible for Islanders to return to their home islands. Records and knowledge of precise origin were often scant as a result of the questionable recruitment processes and decades making lives in a new country. Earlier, in 1897, some Islanders being returned to the Pacific elected to return to islands that were not their original home islands. They did this to join family members who were already resident on these islands or chose islands where missionaries might protect them. By all means, let any Kanaka return to his island if he likes, - but why, - in the name of God, - and British law and justice, - force a lot of poor helpless people to their doom? By the time of deportation, Queensland was home to many South Sea Islanders and they did not wish to be deported. 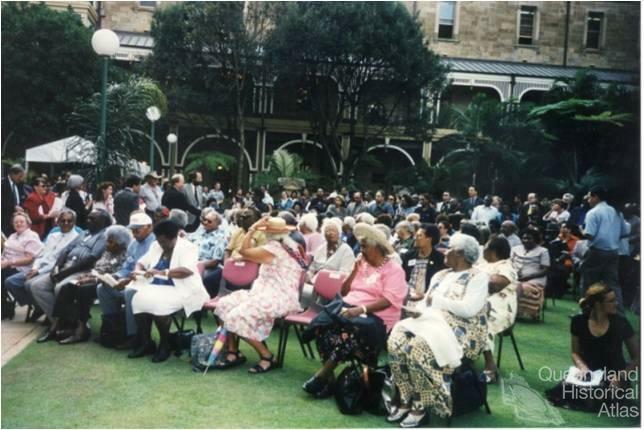 South Sea Islanders established the Pacific Islanders Association which lobbied to have South Sea Islanders and their families stay in Australia. The Act was eventually amended to allow some Islanders to stay. But it was only those who had lived in Queensland since before 1879 who were permitted to stay in Australia, and only 1654 Islanders were given permission to remain. There is relatively little known about people who were deported. However, some people were split from their families and others were deported to the wrong islands. There are stories about Islanders who escaped into the bushland to avoid deportation. It is what happened after deportation that makes the South Sea Islander story unique to Queensland. Islanders who continued to live in Queensland experienced great hardship as the government and the unions continued to restrict access to employment. Into the 1940s most aspects of Islander lives and mobility were controlled through a number of legislative acts. Restrictions were placed on where they worked; and continued to exclude the community from jobs in the sugar industry, that could provide basic life needs and services. Racial discrimination in workplace legislation in the first quarter of the twentieth century was, in many ways, more damaging than the physical abuse and discrimination of the nineteenth century. South Sea Islanders and their families moved off farms and down to the sea. Maybe this was survival, or maybe it was that Islanders were more familiar with a life of subsistence living on islands. Communities formed in places such as Ayr, Mourilyan, Innisfail, the beach and river areas of Mackay, Joskeleigh outside of Rockhampton, and Hervey Bay north of Maryborough. South Sea Islander people continued to live in small Islander communities on the outskirts of the major port towns. They lived in little shanty huts usually made of bark, slab or grass on the banks of rivers, beach fronts or on the land of more tolerant employers. They built little communities, families in one area, old single men usually the original Islanders, in another area, a meeting area, and an area for the healer. Islanders have continued many island customs and knowledge – they grow market gardens, know when to fish by the look of the water or the night sky, make casts nets, gather turtle eggs and live in the extended family network. Change and adaptation was also necessary. The South Sea Islander family unit changed a little as the next generation of South Sea Islanders began to grow older. Women looked after the extended family unit while men traveled to find work as stockmen, on the railways, at meatworks, or fruit picking. Young women would go and work as maids in the local towns or on farms or large stations. Most Islander communities were heavily influenced by Christianity. This is evident in the large number of Islander populations that attend churches in Queensland like Seven Day Adventist Church at Homebush in Mackay, Gospel Hall at Joskeleigh, and Assembly of God in Thorn Street, North Rockhampton. Society was not very accepting of Islander children in mainstream schools. Sometimes Islander communities campaigned to get their own schools. Joskeleigh State School was set up by Islanders who felt that it was important for their children to have an education. 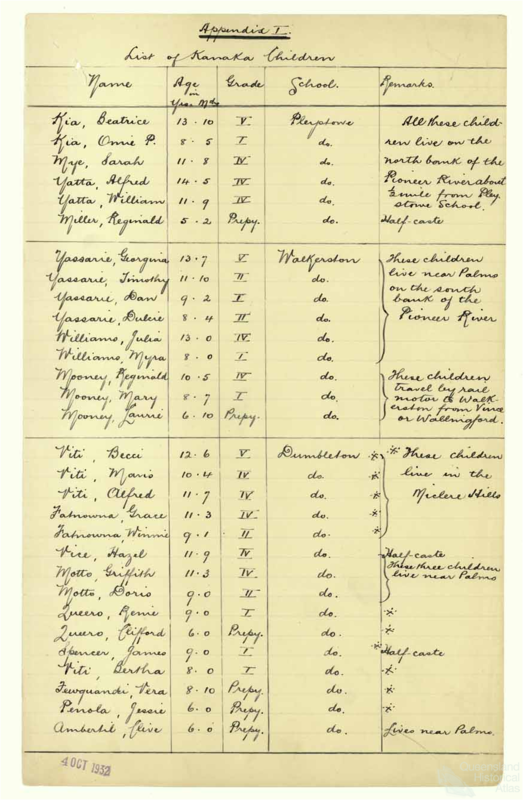 The list from Pleystowe, Walkerston and Dumbleton Schools in Mackay shows how Islander children were segregated from other children. 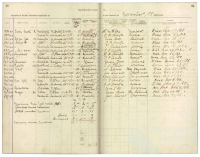 Similarly the hospital records illustrate the separate treatment of Islander patients. 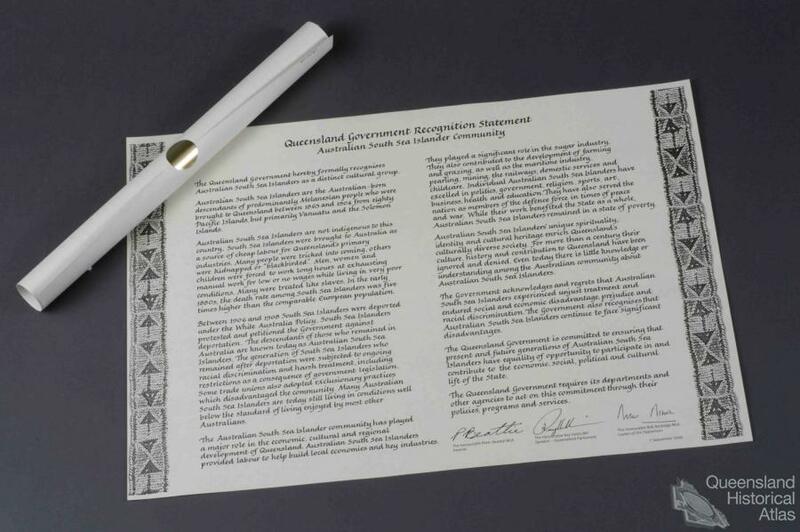 South Sea Islanders and their descendants have played a significant role in the sugar industry, but they have made many more contributions to development of Queensland. They also contributed to the development of farming and grazing, maritime industry, pearling, mining, the railways, and domestic services. Today many Australian South Sea Islanders are achieving and leading the way in many areas including trades, academia, nursing, teaching, politics, music, art and sport. The effects of the restrictions placed on the Islanders by the various Acts put tremendous pressures on the community. My great uncle’s story like most other South Sea Islander people moves all through the landscape, Malekula in Vanuatu, through to Mackay, Rockhampton, Mundubbera, and Blair Athol here in Australia. It is through our family his story makes the journey to the home islands. This is the story of my Great Uncle, my Father’s Uncle. He was a first generation Australian-born South Sea Islander. This is his story. I was born in 1912 in Mackay. My father, Robert Kia, was brought to Australia by slave traders from Malekula Island, Vanuatu. My father was only a child at the time he was dropped off at Mackay. He worked in the canefields and picked coffee at Mount Duke. Dad and the elders didn’t talk too much about their past because I think it must have hurt them too much. I did not go to school at all. The district had a school but there was no teacher. I have four sisters [two died]. Dad had a banana patch and always grew something. When I was young I used to dive under water for fish. I had to go to work at twelve years old when my father died. Dad was supposed to have been seventy-two years when he died, but I think he was older. My mum died when she was eighty-one. I worked on a cane farm in Mackay for nine years for one pound a week. I married in 1933. We came to Rockhampton in 1949 and have resided here ever since. In 1949, my wife stayed in Rockhampton and I worked in another town, Mundubbera, on a cattle station, returning in 1951. I used to drive six horses, droving weeks and weeks from Avon Downs to Blair Athol [750 head of cattle with three drovers]. If I was not droving, I was working on the road. I have a few injuries from falling off horses. I used to make about twenty-five cast nets a year, but now I make only about five a year. It used to be cheaper to make cast nets in the old days, but now it is too expensive. Also, it seems that nowadays no young people want to learn how to make a cast net. My Uncle’s story illustrates the patterns of discrimination, and movement through the landscapes that South Sea Islanders experienced. Through the eyes of my great uncle's story it is evident to me that oral history has provided me with the links to my ancestors through story. Islanders are proud people, hard working, with a strong sense of group. My Uncle like other Islanders tried to continue the traditions - for instance he continued making casts nets. I can remember as a child he taught my dad and then when my brother was old enough he went and he learnt to make casts nets. However, I hear all too often about the sadness Islanders had when thinking about their lives and this prevented them from continuing their story line, the cultures and the traditions from the home islands. Some Islanders find it difficult to speak about the past as it hurts them deeply. Unfortunately this has made it difficult for descendants to find the home islands of ancestors. Today many descendants are making the journey ‘back’ to reconnect with the home islands of their ancestors. They want to learn about their heritage and teach their children about who they are, and where their ancestors came from in the Pacific.